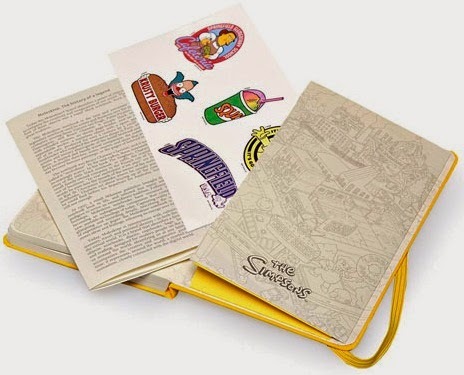 In the 25 years celebration of the longest-running satirical-adult animated TV series created by Matt Groening, Moleskine releases The Simpsons in a limited edition notebook collection. This limited edition collection is an acknowledgement to the undying love of fans all over the world. 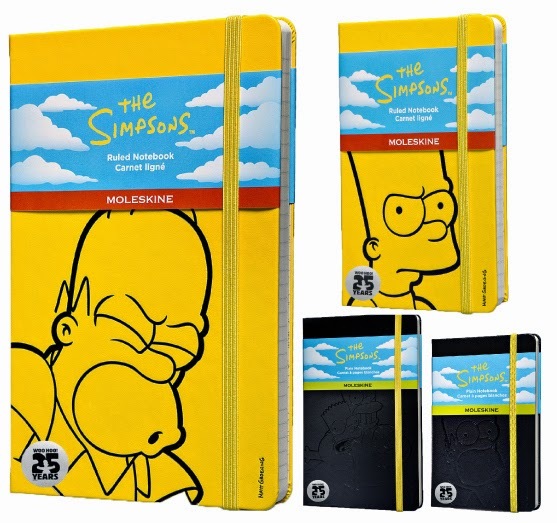 Available in large or pocket, plain or ruled, and in yellow or black, the limited edition notebooks have different debossings of Bart and Homer on the covers and feature an illustrated view of Springfield on the endpapers. 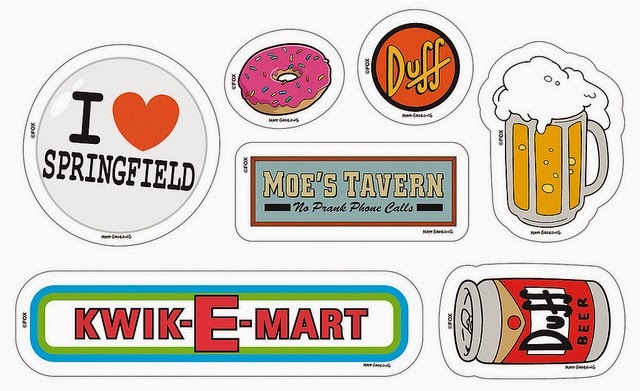 Also, fun The Simpsons-themed stickers placed in the back pocket of the notebooks are included. 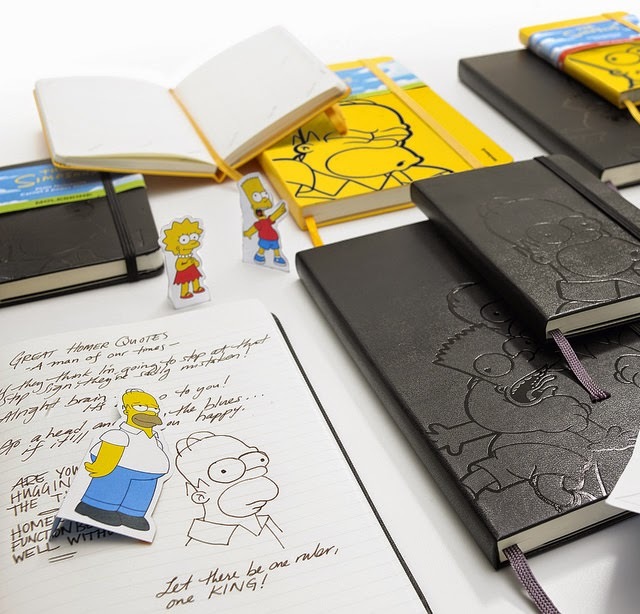 The Simpsons Limited Edition Collection by Moleskine is available at selected National Book Store branches nationwide. Visit www.nationalbookstore.com for more information. For updates, promos and contests, follow National Book Store on Twitter, Facebook and Instagram. That collection looks incredible :) I'm not a big fan of the Simpsons but I would love to grab some items under the NBS Simpson's collection. I find all of 'em adorable! OMG! OMG! OMG! Thanks for sharing. Will definitely get one for my personal use and 1 for display in my room. Haha! My husband and son will certainly welcome this news as they seem to enjoy watching this show very much. Waahhhh! I want this, perfect pocket notebook for me. Wow! this is something my apo will definitely love. Bukas, we will visit the nearest National Bookstore and by Pakoy a set of these notebooks. OMG! I love it. The Simpsons are one of my favorite cartoon when i was still a kid. Thanks for sharing. I think i need to go to Nat'l book store to buy one. OMG. Love it :-). The Simpsons are one of my favorites when i was still a kid. I think I need to go to Nat'l book store to buy one.